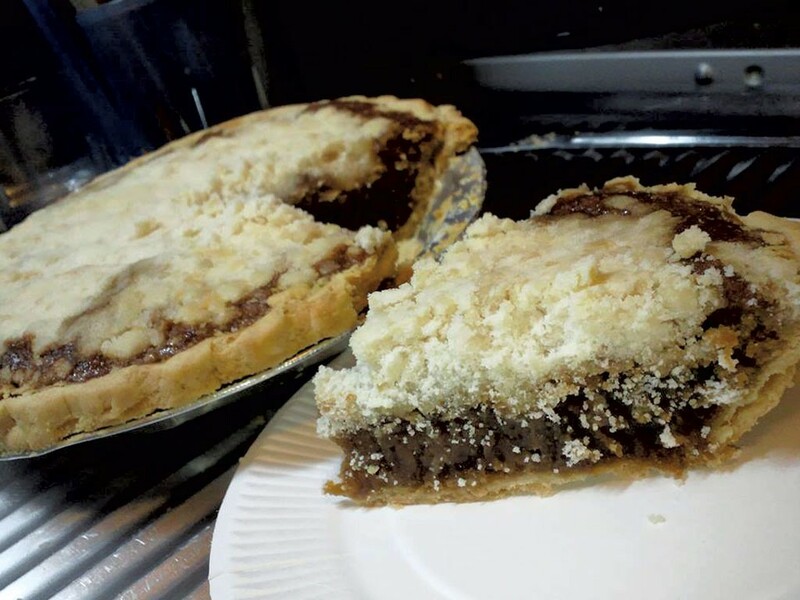 A Sweet Family Tradition: Pennsylvania Dutch Shoofly Pie | Mealtime | Kids VT - small people, big ideas! As a young bride, my maternal grandmother — who grew up in Pennsylvania — once asked her new mother-in-law what she should make for her sweet-toothed husband for dessert. The answer? Shoofly pie. My grandmother didn't know how to make this particular dish, but her mother-in-law assured her it was simple: Just pour molasses in a pie shell and bake it. I don't think she liked my grandma much. The molasses boiled over, and the oven was nearly ruined. Despite the disastrous first attempt, my determined grandmother didn't give up. She learned how to make a proper shoofly pie, and her recipe has been passed down through our family and is now a staple at our Thanksgiving table. As it turns out, the directions aren't that much harder than her mother-in-law's. With a little research, I've discovered shoofly pie is a colonial take on the traditional British treacle tart (like the one Harry Potter enjoyed at Hogwarts). It's thought that German settlers in Pennsylvania — called Pennsylvania Dutch after the word Deutsche, not because they're from the Netherlands — borrowed the recipe from English settlers. 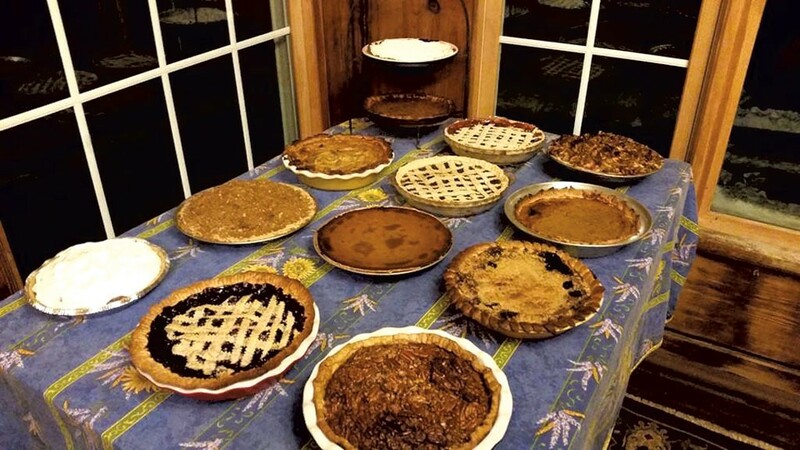 The difference between the two versions is that the molasses used in Shoofly pie is darker and bolder than the Lyle's Golden Syrup used in the treacle tart. I take this boldness a step further by using extra dark, bitter blackstrap molasses. Since I started making it this way, I've become the designated baker of shoofly pie in the family. This is my 10-year-old son's favorite pie, and he loves to help make it. I suspect that's partly because the recipe calls for a fun baking soda-vinegar chemical reaction. One warning: If you don't like molasses, you are not going to like this pie. Otherwise, you're in for a rich and satisfying treat. Preheat oven to 350 degrees. Mix topping ingredients in a food processor to make coarse crumbs. In a bowl, beat together boiling water, molasses and vinegar. Add in baking soda and continue whisking until bubbly. Pour immediately into pie crust. Spread a thick layer of the topping evenly over the surface of the pie. Wrap a strip of foil around the crust before baking so it doesn't burn. Bake for 45-60 minutes, or until a knife inserted in the center comes out clean.